After over 15 months of living abroad, we finally got to head home for a few weeks. 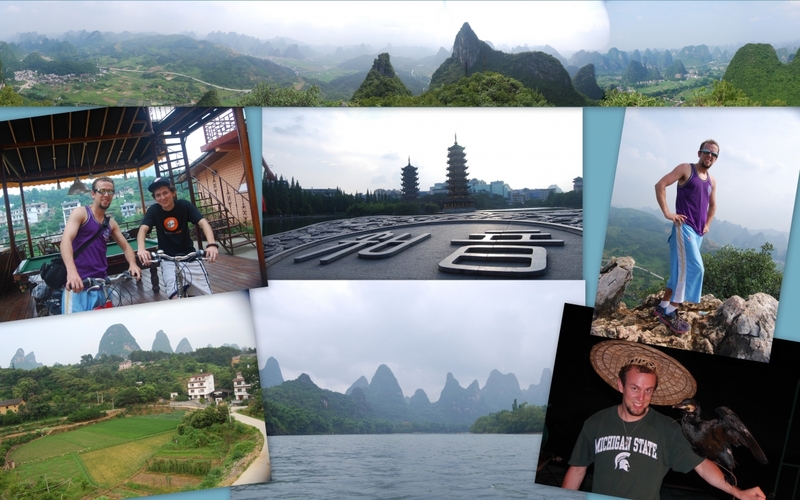 Before flying back to Detroit, Sasha and his brother Pip paid a visit to Yangshuo, a picturesque town on the Li River in southern China. Back in America, Rachel was busy at her mom’s wedding, while Sasha was at the massive Gramling family reunion to celebrate his grandparents’ 50th anniversary. 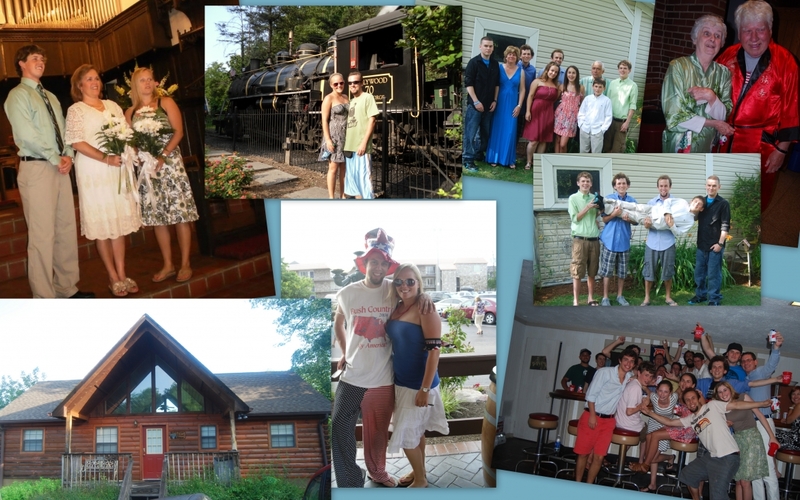 Sasha caught up with Rachel and her whole family in Pigeon Forge for a few days of relaxing and doing all things American for the 4th of July – Dollywood Theme Park, the Dixie Stampede dinner show, and more. 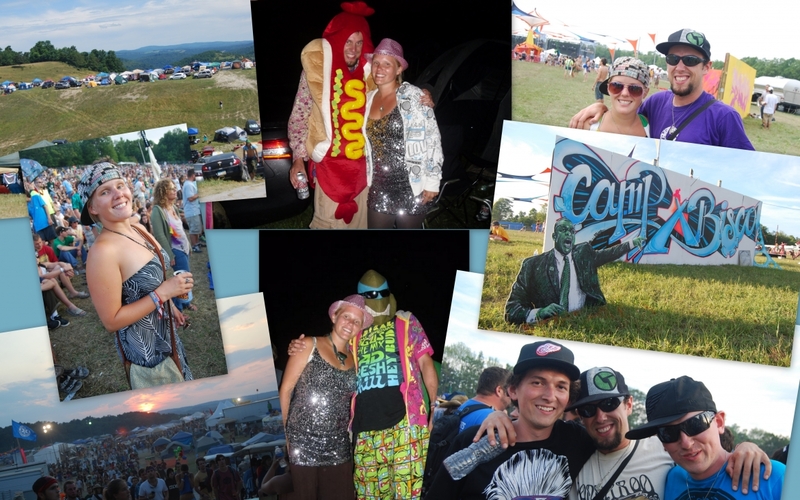 From TN, we once again made the trek to upstate NY for Camp Bisco. It was a wild weekend with two of Sasha’s brothers and their friend, and it was crazy to see how the small, relatively unknown festival we had fallen in love with in 2007 had gotten so huge. We then drove back to Marvin’s Mountaintop for another All Good Festival, where we worked pre-fest in the catering tent with some awesome people. Our crew was substantially smaller than in 2009, but we still had a great time. After that, we cruised back to the Motor City to spend some time with Sasha’s family and friends. Thanks to Sasha’s parents, we even got to spend a few days riding the roller coasters and zipping down water slides at Cedar Point with Sasha’s siblings (thanks!!). Yet another trip to Chicago followed, where we got to see some friends and wander around the city a bit before flying onwards to Denver. 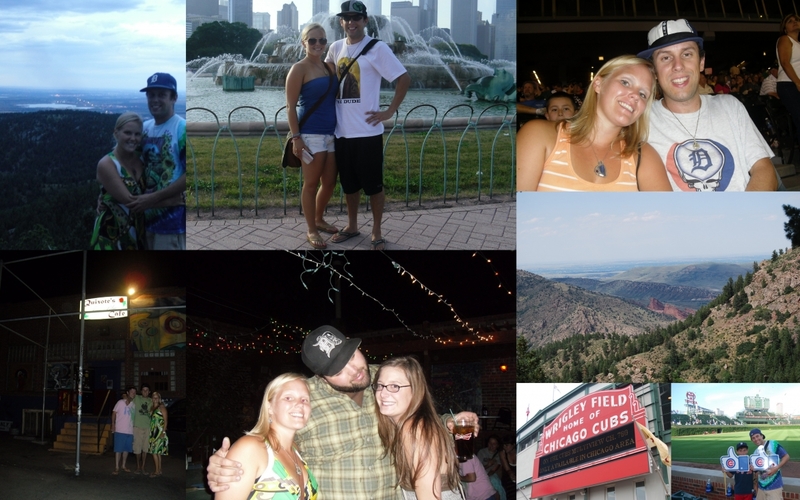 Out in CO, we reunited with old friends and had an epic week of raging together. Sadly, it was the last time we got to see one of our good friends. Fare thee well, Dan – you were an amazing friend and an even better person. We flew to Portland, where we were lucky enough to stay in the Wolfe family house in Oswego (thanks guys!). 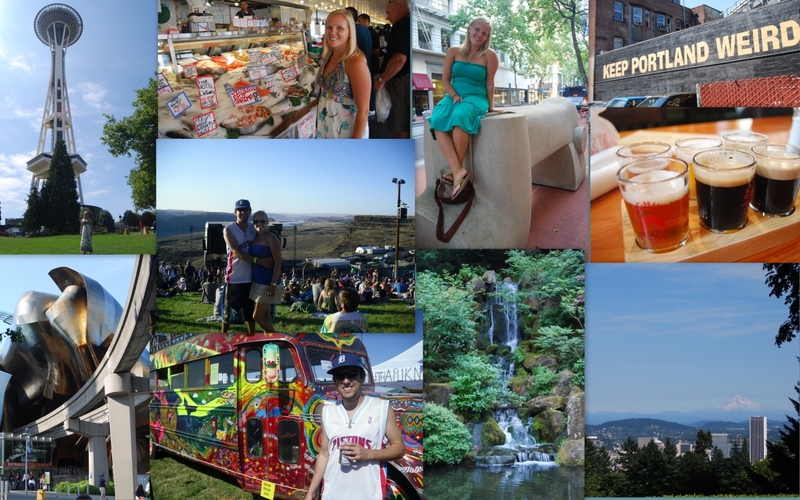 This time, we finally got to see some of the Rose City, as we explored museums, parks, and bars. Sasha finally got a birthday show on our return trip to the Gorge, where we saw two more nights of Phish before making our last stop in Seattle. We stayed with a friend and got to take in some of the sights there before heading back to Beijing. Thanks to landing jobs with Wall Street English, we were back in China yet again, this time on working visas. We had even convinced a friend to come join the fun, as Sean flew over to Beijing to live with us and find a teaching job. Before starting our new jobs, however, we got to go on a short China vacation. Our first stop was Qingdao for the annual beer festival. We got Sean acclimated to China by force-feeding him lukewarm Chinese beer along with raw garlic and chicken feet. From there we flew to Kunming in Yunnan province, where one of Rachel’s classmates was living and working. A few days were spent hanging out and wandering around Kunming, and we also headed to Dali for some cycling, hiking, and more. We loved our short trip in Yunnan so much that it prompted us to promise our friend that we would be back there to live eventually, which we eventually did for a year. 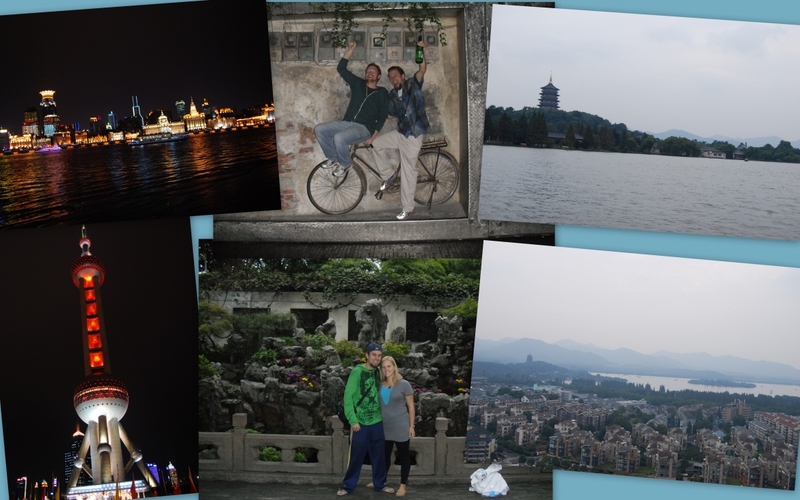 For the National Holiday, the three of us went to Shanghai and Hangzhou for a few days. We munched on tasty soupy dumplings, walked along the Bund, and played lazer tag in Shanghai, and then we strolled around the West Lake and saw an incredible performance in Hangzhou. The rest of the fall was busy with work, as we were both starting at WSE, Sasha was also teaching a new Video Production workshop at the university, and Rachel was still holding down some part-time jobs. 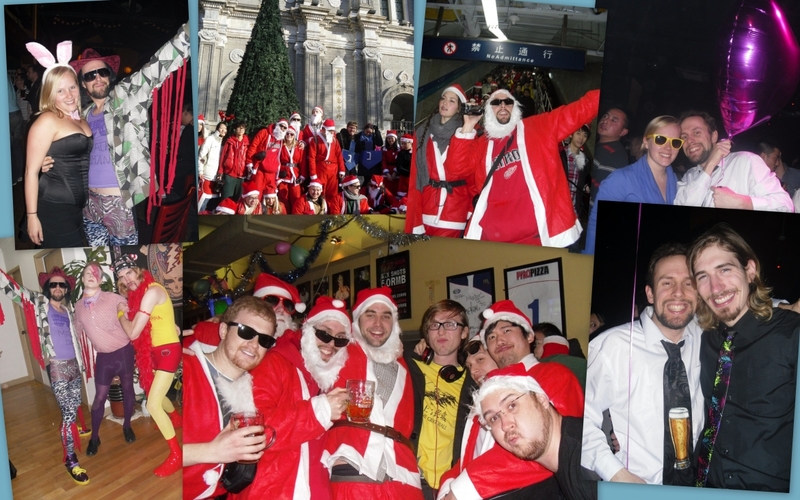 Halloween was a crazy weekend that saw Sasha and Dan feuding as Macho Man and Hulk Hogan, and we once again paraded around the Chinese capital as Santa, spreading Christmas spirit(s). We ended the year in a bang, with an all-night electronic rave in Beijing followed by an early morning NYE Phish show thanks to the magic of the Internets. What a year! There’s no way we can top that one, right?? Wrong! 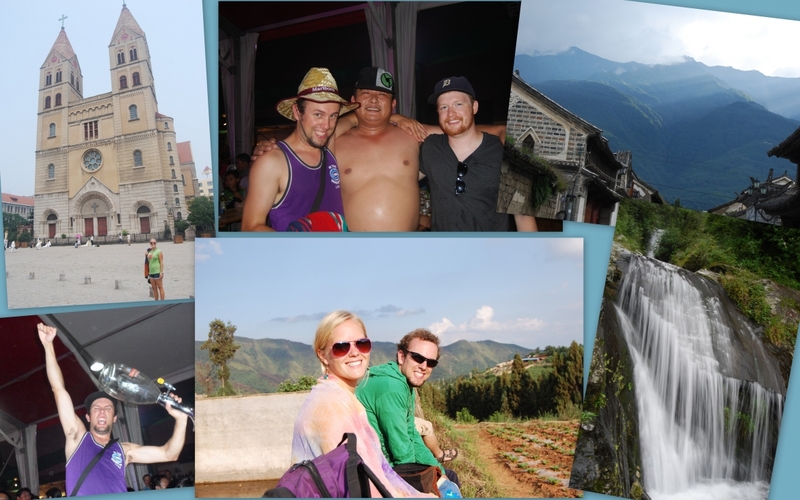 2012 was an epic year of traveling – Mexico, Japan, Sichuan, the US, Singapore, Bali, and more. The world didn’t end in 2012, but we did have one helluva year!